The 12th generation is coming: a Toyota Corolla in runout mode takes the lead in November. Is the worst over? After imploding 75% in September and 76.6% in October, the Turkish new light vehicle market is down “just” 42.3% in November at 58.204 registrations, still a ghastly performance but an improvement nevertheless. The year-to-date tally now stands at 543.231 units, down 33.7% on the same period in 2017. Even though the all freefall even faster than the market, Renault (-56%), Volkswagen (-53%) and Fiat (-50%) are in the lead this month, and the Top 10 has three carmakers swimming upstream and in frank positive, all Japanese: Toyota is up 34% to #4, Nissan up 14% to #6 and Honda, the hero of the past few months, up 23% to #9. Dacia (-30%) and Peugeot (-39%) also manage to fall slightly slower than the market. Further down, Aston Martin (+200%), Jaguar (+85%), Jeep (+77%) and Citroen (+7%) are the only brands managing an uptick while Mitsubishi (-0.3%), Mini (-0.4%) and Suzuki (-0.5%) are pretty close. 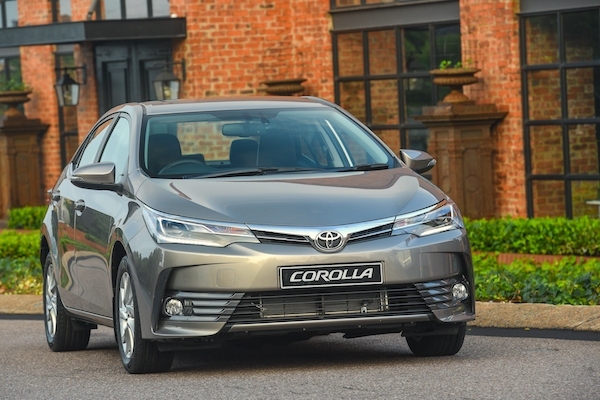 Model-wise, the Toyota Corolla (+76%) enjoys runout price cuts to spectacularly take the lead, ending three consecutive months of reign by the Honda Civic (+61%), down to #3 but still very dynamic – in fact the only Top 10 nameplate in progression alongside the Corolla and the Nissan X-Trail (+298%). The Fiat Egea (-21%) takes advantage of a dismal month by the Renault Megane (-66%) to reclaim the YTD pole position it held in 2017. The Nissan Qashqai (-22%) and VW Passat (-42%) round up the Top 5 while the Dacia Duster (-7%) resists very well at #7 but the Ford Transit (-59%) and Renault Clio (-48%) crumble down. Notable improvement inside the Top 50 include the BMW 1 Series (+85%), Citroen Berlingo (+84%), Peugeot 308 (+74%), Skoda Fabia (+64%), Peugeot 3008 (+48%), Kia Sportage (+44%), Toyota Yaris (+40%), Renault Kadjar (+23%), Nissan Micra (+22%) and Hyundai Tucson (+11%). The Skoda Karoq (#48) leads recent launches (<12 months) above the Ford Ecosport (#75), Hyundai Kona (#79) and Kia Stonic (#89). Full November 2018 Top 40 All-brands and Top 215 All-models below. 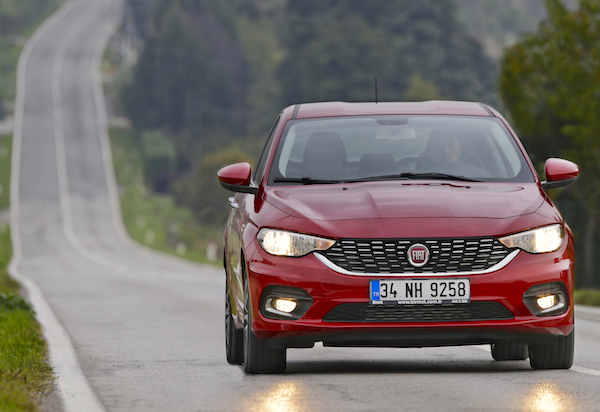 Turkey June 2013: Discover the Top 288 All-models ranking!